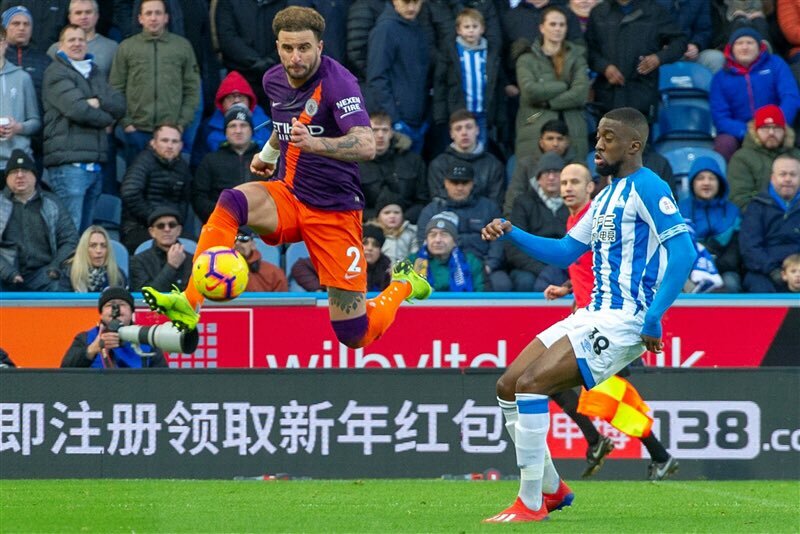 Manchester City smashed through the 100-goal barrier this season in their 3-0 win at managerless Huddersfield - but boss Pep Guardiola wants more. The champions cruised to their fourth straight Premier League win thanks to Danilo's first-half deflected effort and quickfire goals from Raheem Sterling and Leroy Sane early in the second period. But, despite closing the gap on leaders Liverpool to four points and scoring their 102nd goal in all competitions this season, City were not at their best and Guardiola has called for improvement. "We are happy we have won, but immediately we have to analyse what we have done and to win in the future we have to play good," he said. "During the season you have games when maybe you are not in the top level and it is important to win these games. "All the teams have that, but to arrive in the last stage of competitions our game will have to improve." Asked how he could expect his side to get better, Guardiola said: "Our pace, more passes in a row - we were not able to make a lot of passes. Always in football when you play good you have the ball as much as possible." The game was Huddersfield's first since the departure of their popular manager David Wagner last Monday. The Terriers have lost nine of their last 10 league games and are 10 points off safety, but caretaker manager Mark Hudson was pleased with the players' efforts. Hudson said: "It has been a long week, I enjoyed it, especially as the players took on board what I asked and they fought until the last seconds of the game. I said thank you to all the players for what they have given me." Borussia Dortmund coach Jan Siewert has been linked with the vacancy but Hudson does not know if an appointment is imminent. Siewert was not at the game, even though a TV reporter mistook someone in the directors' box for the German. He turned out to be Martin Warhurst, chief executive of Martin House, a charity that provides hospice care for children and young people across West, North and East Yorkshire, and a City lifelong City fan. Hudson said: "I was asked to take charge this week, leading to Sunday. For this week I will have a few conversations later today or tomorrow and see where we go."